“All laws enacted at a regular session, . 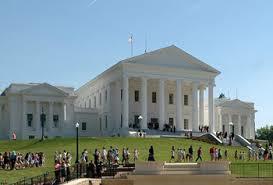 . .
is likely to affect the daily lives of the citizens of Virginia. The following legislation has been signed by the Governor and for the most part will go into effect on July 1, 2016. The summaries were prepared by the staff of the Division of Legislative Services. Complete information on actions of the 2016 Session is available on the Legislative Information System. HB 1103. ABLE (Achieving a Better Life Experience) savings trust accounts; exclusion from determination of state means-tested assistance and benefits. The law provides that, notwithstanding any other provision of state law that requires consideration of one or more financial circumstances of an individual for the purpose of determining (i) the individual’s eligibility to receive any assistance or benefit pursuant to such provision of state law or (ii) the amount of any such assistance or benefit that such individual is eligible to receive pursuant to such provision of state law, any (a) moneys in an ABLE savings trust account for which such individual is the beneficiary, including any interest on such moneys, (b) contributions to an ABLE savings trust account for which such individual is the beneficiary, and (c) distribution for qualified disability expenses for such individual from an ABLE savings trust account for which such individual is the beneficiary shall be disregarded for such purpose with respect to any period during which such individual remains the beneficiary of, makes contributions to, or receives distributions for qualified disability expenses from such ABLE savings trust account. HB 699/SB 691. Production of industrial hemp. The law clarifies that it is lawful for a person with a license to manufacture industrial hemp products or engage in scientific, agricultural, or other research involving the applications of industrial hemp and that no person shall be prosecuted for the possession, cultivation, or manufacture of industrial hemp plant material or products. The law requires the Commissioner of Agriculture and Consumer Services to establish a licensure program, with a maximum license fee of $250. Current law authorizes the Board of Agriculture and Consumer Services to adopt regulations necessary to license persons to grow industrial hemp or administer a research program. HB 322. Alcoholic beverage control; summary suspension of license in emergency circumstances. The law allows the Alcoholic Beverage Control Board to temporarily suspend any license or permit if it has reasonable cause to believe that an act of violence resulting in death or serious bodily injury or reoccurrence of such acts has occurred on the licensed premises or other designated area and the Board finds that there exists a continuing threat to public safety and that summary suspension of the license or permit is justified to protect the health, safety, or welfare of the public. The law sets up the process for initial and formal investigations and for a hearing and appeal for summary suspension. The law does not apply to temporary licenses or permits, which may already be summarily suspended under current law, nor does it apply to holders of wholesale wine or beer licenses or holders of wine or beer importers licenses. HB 879/SB 578/SB 579. Alcoholic beverage control; farm winery, limited brewery, and limited distillery licenses; land zoned agricultural. The law clarifies that, for farm wineries, limited breweries, and limited distilleries, “land zoned agricultural” means land zoned as (i) an agricultural district or classification or (ii) land otherwise permitted by a locality for farm winery, limited brewery, or limited distillery use. The law provides that “land zoned agricultural” does not include land zoned “residential conservation.” The law exempts from its provisions any farm winery, limited brewery, or limited distillery that, prior to July 1, 2016, holds a valid license or pending application for a license that is subsequently granted by the Alcoholic Beverage Control Board and is located on land zoned as agricultural district or classification or land otherwise permitted by a locality for farm winery, limited brewery, or limited distillery use. The law allows any such farm winery, limited brewery, or limited distillery that is located on land zoned residential conservation to expand existing buildings or structures and construct new buildings or structures if approved by the locality by special exception. HB 703/SB 415. Legal age for marriage; 18 years of age. The law provides that both parties to a marriage must be 18 years of age or older or emancipated at the time of solemnization by removing exceptions that allow marriage at a minimum age of 16 with the consent of the parent or guardian or younger than 16 in the case of pregnancy and with the consent of the parent or guardian and provides that marriages entered into in violation of this law are voidable. The law also allows a minor to petition the juvenile and domestic relations district court for emancipation based on such minor’s desire to enter into a marriage. The law provides that, to allow emancipation based on such minor’s desire to enter into a marriage, the court must make certain written findings, including that it is the minor’s own will to enter into the marriage, that the individuals to be married are mature enough to make a decision to marry, that the marriage will not endanger the safety of the minor, and that it is in the best interests of the minor to be emancipated. HJ 2/SJ 70. Constitutional amendment (second resolution); right to work. The amendment to Article I of the Constitution of Virginia prohibits any agreement or combination between any employer and any labor union or labor organization whereby persons not members of such union or organization are denied the right to work for the employer, or whereby such membership is made a condition of employment or continuation of employment by such employer, or whereby any such union or organization acquires an employment monopoly in any enterprise. HJ 123. Constitutional amendment (second resolution); real property tax exemption. The amendment to Article X of the Constitution of Virginia allows the General Assembly to provide an option to the localities to exempt from taxation the real property that is the primary residence of the surviving spouse of any law-enforcement officer, firefighter, search and rescue personnel, or emergency medical services personnel killed in the line of duty. Such tax exemption may not be claimed by a surviving spouse who has remarried. HB 610. Violations of protective orders; penalty. The law provides that it is a Class 6 felony to stalk a party protected by a protective order or to commit an assault and battery upon a party protected by a protective order if such assault and battery results in bodily injury. Currently, the Class 6 felony is only applicable if the person commits an assault and battery that results in serious bodily injury to the protected party. HB 752/SB 339. Stalking; penalty. The law provides that contacting or following or attempting to contact or follow the person at whom stalking conduct is directed after being given actual notice that the person does not want to be contacted or followed is prima facie evidence that the person intended to place the other person, or reasonably should have known that the other person was placed, in reasonable fear of death, criminal sexual assault, or bodily injury to himself or a family or household member. This law is a recommendation of the Virginia State Crime Commission. HB 886. Stalking; penalty. The law provides that a second offense of stalking committed within five years of a prior stalking conviction is punishable as a Class 6 felony. Under current law, a second offense of stalking only qualifies for the Class 6 penalty if the person convicted had also been convicted of certain offenses involving assaults or bodily woundings or of violating a protective order. HB 1087/SB 323. Violation of protective order; firearm or other deadly weapon; penalty. The law provides that any person who violates a protective order with which he has been served while knowingly armed with a firearm or other deadly weapon is guilty of a Class 6 felony. HB 1189. Operation of a child welfare agency without a license; child abuse and neglect; penalty. The law provides that operating or engaging in the conduct of a child welfare agency without first obtaining a license when it is known that such license is required or after such license has been revoked or has expired constitutes a willful act or willful omission for purpose of the crime of abuse and neglect of a child. Under current law, a parent, guardian, or other person responsible for the care of a child who by willful act or omission causes or permits serious injury to the life or health of such child is guilty of abuse and neglect of a child, which is punishable as a Class 4 felony. HB 815. Method of execution. The law authorizes the Director of the Department of Corrections to enter into contracts with a pharmacy or outsourcing facility for the compounding of drugs necessary to carry out an execution by lethal injection and provides that the compounding of such drugs (i) does not constitute the practice of pharmacy; (ii) is not subject to the jurisdiction of the Board of Pharmacy, the Board of Medicine, or the Department of Health Professions; and (iii) is exempt from the laws governing pharmacies and the Drug Control Act (§ 54.1-3400 et seq.). The law also provides that the identities of any pharmacy or outsourcing facility that enters into such a contract with the Department of Corrections, any officer or employee of such pharmacy or outsourcing facility, and any person or entity used by such pharmacy or outsourcing facility to facilitate the compounding of such drugs shall be confidential and exempt from the Freedom of Information Act (§ 2.2-3700 et seq.) and shall not be subject to discovery or introduction as evidence in any civil proceeding unless good cause is shown. The law also sets forth labeling requirements for any drug compounded pursuant to such a contract. SB 457. Asset forfeiture; burden of proof. The law changes the Commonwealth’s burden of proof from preponderance of the evidence to clear and convincing evidence in determining that property is subject to forfeiture in civil asset forfeiture cases. HB 1231. Dogs injuring or killing poultry. The law allows the district court to order that any dog that has been found to have injured or killed only poultry be microchipped and either confined securely or transferred to another owner whom the court deems appropriate. Under current law, the court is required to order that such a dog be killed immediately or removed to another state. HB 357/SB 211. Public schools; physical activity requirement. The law requires at least 20 minutes of physical activity per day or an average of 100 minutes per week during the regular school year for students in grades kindergarten through five. This requirement becomes effective beginning with the 2018-2019 school year. The current requirement for a program of physical activity available to all students in grades six through 12 with a goal of at least 150 minutes per week on average during the regular school year is not changed. HB 895. Board of Education; high school graduation requirements. The law removes existing provisions related to standard and advanced studies diplomas and standard and verified units of credit and requires the Board of Education, in establishing high school graduation requirements, to (i) develop and implement, in consultation with stakeholders representing elementary and secondary education, higher education, and business and industry in the Commonwealth and including parents, policymakers, and community leaders in the Commonwealth, a Profile of a Virginia Graduate that identifies the knowledge and skills that students should attain during high school in order to be successful contributors to the economy of the Commonwealth, giving due consideration to critical thinking, creative thinking, collaboration, communication, and citizenship; (ii) emphasize the development of core skill sets in the early years of high school; and (iii) establish multiple paths toward college and career readiness for students to follow in the later years of high school that include internships, externships, and credentialing. The law also sets forth the procedure for the establishment of such graduation requirements. The law specifies that such graduation requirements shall apply to each student who enrolls in high school as (a) a freshman after July 1, 2018; (b) a sophomore after July 1, 2019; (c) a junior after July 1, 2020; or (d) a senior after July 1, 2021. HB 1223. Procedures at polling place; provision of voter’s full name and current residence address. The law permits a voter to give his full name and current residence address orally or in writing to the officer of election when offering to vote. SB 420. Voter registration; information required on voter registration application; adjudication of incapacity or felony conviction. The law removes the requirement that a person registering to vote who states that he was (i) previously adjudicated incapacitated and disqualified to vote or (ii) convicted of a felony and that his right to vote has been restored additionally provide information regarding the circumstances under which his right to vote has been restored. HB 206. Transfer of certain firearms; identification requirement. The law allows Virginia residents to purchase a firearm by presenting only one photo-identification form issued by a governmental agency of the Commonwealth or by the U.S. Department of Defense that demonstrates that the prospective purchaser resides in Virginia. The law provides that a member of the armed forces whose photo identification issued by the Department of Defense does not have a Virginia address may establish his Virginia residency with such photo identification and permanent orders assigning the purchaser to a duty post, including the Pentagon, in Virginia or his Leave and Earnings Statement. Current law requires photo identification and another document that establishes residency, such as a lease or utility bill, and that includes an address that matches the photo identification. HB 810. Transfer of assault weapon; proof of citizenship. The law makes consistent the type of identification and other documentation that a purchaser of a firearm must present when purchasing any type of firearm from a licensed dealer by removing the additional requirement for the purchase of an assault weapon that a person who purchases such a weapon must present proof of citizenship. The law does not alter the provisions prohibiting the sale of assault firearms to noncitizens or persons who have not been lawfully admitted for permanent residence. HB 1163/SB 610. Recognition of out-of-state concealed handgun permits; photo identification. The law provides that the holder of an out-of-state concealed handgun permit who is at least 21 years of age is authorized to carry a concealed handgun in Virginia if (i) the other state has a 24-hour-a-day means of verification of the validity of the permits issued in that state, if available; (ii) the person carries a government-issued photo identification and displays it upon demand of a law-enforcement officer; and (iii) the person has not previously had a Virginia concealed handgun permit revoked. The law requires the Superintendent of State Police (Superintendent) to enter into agreements for reciprocal recognition with other states that require an agreement to be in place before the state will recognize a Virginia concealed handgun permit as valid in the state. The law provides that if the Superintendent determines that another state requires the Attorney General to execute or formally approve such agreement, the Attorney General will execute or approve such agreement within 30 days of written notification by the Superintendent that the Attorney General is required to execute or approve such agreement. Current law recognizes concealed handgun permits issued by states that (a) provide a 24-hour-a-day means of verification of the validity of the permits issued in that state and (b) have requirements and qualifications that are adequate to prevent possession of a permit by persons who would be denied a permit in Virginia. In addition, the law requires the Superintendent, within 60 days of the effective date of the law, to enter into agreements for reciprocal recognition of concealed handgun permits or licenses with other states where agreements were in existence on December 1, 2015. HB 1386/SB 715. Firearms shows; voluntary background checks; penalties. The law requires the Department of State Police to be available to perform background checks for non-dealer sales at firearms shows if requested by a party involved in a transaction. The promoter of the firearms show shall furnish the Department of State Police sufficient facilities to perform the background checks. In order for the law to become effective, the U.S. Department of Justice must approve the policies and procedures that the Department of State Police will use to implement the provisions of the law. HB 1391/SB 49. Protective orders; possession of firearms; penalty. The law provides that it is a Class 6 felony for a person who is subject to a permanent protective order (i.e., a protective order with a maximum duration of two years) for family abuse to possess a firearm while the order is in effect. The law also provides that such person may continue to possess and transport a firearm for 24 hours after being served with the order for the purposes of selling or transferring the firearm to another person. Under current law, it is a Class 1 misdemeanor for a person subject to a protective order to purchase or transport a firearm. HB 741/SB 453. Virginia Board for Asbestos, Lead, and Home Inspectors; licensing of home inspectors. The law provides that beginning July 1, 2017, home inspectors must be licensed by the Virginia Board for Asbestos, Lead, and Home Inspectors (the Board). Currently, home inspectors must be certified. The law requires the Board to promulgate regulations to implement the provisions of the law effective no later than July 1, 2017, and exempts the Board’s initial adoption of such regulations from the Administrative Process Act (§ 2.2-4000 et seq. ), with the exception that the Board must provide an opportunity for public comment prior to adoption. HB 1228. Department of Professional and Occupational Regulation; boxing and wrestling events; sanctioning organizations. The law, which became effective on April 20, 2016, enhances the conflict of interest provisions for sanctioning organizations required for approval by the Director of the Department of Professional and Occupational Regulation (DPOR). The law (i) reduces the compliance burden on sanctioning organizations by including specific participant safety criteria rather than referencing the entire law governing boxing and wrestling events, (ii) prohibits gate fees for amateur-only events conducted by sanctioning organizations, (iii) establishes an annual application fee of $500, (iv) clarifies that amateur-only events may be conducted only under the purview of sanctioning organizations authorized by the Director of DPOR, and (v) exempts amateur boxing from regulation. HB 1291. Virginia Lottery; ticket courier services. The law prohibits the operation of a ticket courier service in the Commonwealth. The law defines “ticket courier service” as a service operated for the purpose of purchasing Virginia Lottery tickets on behalf of individuals located within or outside of the Commonwealth and delivering or transmitting such tickets, or electronic images thereof, to such individuals as a for-profit delivery service. HB 1299/SB 229. Purchase of flags of the United States of America and the Commonwealth of Virginia by public bodies. The law provides that, effective July 1, 2017, whenever a state or local public body or school division purchases a flag of the United States or a flag of the Commonwealth for public use, such flag must be made in the United States from articles, materials, or supplies that are grown, produced, and manufactured in the United States, if available. HB 905. Advance disclosure of allowed amount or charge for procedure. The law requires every hospital to furnish a patient scheduled to receive an elective procedure, test, or service to be performed by the hospital, upon his request or the request of his legally authorized representative made no less than three days in advance of the date on which such elective procedure, test, or service is scheduled to be performed, with an estimate of the payment amount for which the participant will be responsible for such elective procedure, test, or service. SB 369. Telemedicine pilot program. The law directs the Center for Telehealth of the University of Virginia and the Virginia Telehealth Network to establish a pilot program to expand access to and improve coordination and quality of health care services in rural areas and medically underserved areas of the Commonwealth through the use of telemedicine. Such pilot program shall include a process for establishing and providing support to patient care teams and for assisting nurse practitioners who seek to participate in the pilot program with identifying and developing written practice agreements with patient care team physicians. The Center for Telehealth shall report to the General Assembly and the Governor on the results of the pilot program by October 15, 2017. The law also provides that in the case of psychiatric services provided to individuals receiving services from a community services board, free health clinic, or federally qualified health center by a practitioner engaged by the Center for Telehealth of the University of Virginia to deliver such services, the requirement for an appropriate examination shall be satisfied through the use of telemedicine. The law has an expiration date of July 1, 2018. SB 701. Cannabidiol oil and THC-A oil; permitting of pharmaceutical processors to manufacture and provide. The law authorizes a pharmaceutical processor, after obtaining a permit from the Board of Pharmacy (the Board) and under the supervision of a licensed pharmacist, to manufacture and provide cannabidiol oil and THC-A oil to be used for the treatment of intractable epilepsy. The law sets limits on the number of permits that the Board may issue and requires that the Board adopt regulations establishing health, safety, and security requirements for permitted processors. The law provides that only a licensed practitioner of medicine or osteopathy who is a neurologist or who specializes in the treatment of epilepsy may issue a written certification to a patient for the use of cannabidiol oil or THC-A oil. The law also requires that a practitioner who issues a written certification for cannabidiol oil or THC-A oil, the patient issued such certification, and, if the patient is a minor or incapacitated, the patient’s parent or legal guardian register with the Board. The law requires further that a pharmaceutical processor shall not provide cannabidiol oil or THC-A oil to a patient or a patient’s parent or legal guardian without first verifying that the patient, the patient’s parent or legal guardian if the patient is a minor or incapacitated, and the practitioner who issued the written certification have registered with the Board. Finally, the law provides an affirmative defense for agents and employees of pharmaceutical processors in a prosecution for the manufacture, possession, or distribution of marijuana. An enactment clause provides that except for provisions requiring the Board to promulgate regulations, the provisions of the law do not become effective unless reenacted by the 2017 Session of the General Assembly. HB 66/SB 576. New Economy Workforce Credential Grant Fund and Program established. The law establishes the New Economy Workforce Credential Grant Fund and Program, to be administered by the State Council of Higher Education for Virginia, for the purpose of disbursing funds to certain public institutions of higher education and other educational institutions in the Commonwealth to provide grants to Virginia students who complete certain noncredit workforce training programs at the institution and subsequently attain a relevant noncredit workforce credential. The law also includes provisions relating to the amount and terms of such grants, academic credit for the attainment of noncredit workforce credentials, and reporting on completion of noncredit workforce training programs and attainment of noncredit workforce credentials. SB 438. Public institutions of higher education; personal social media accounts. The law prohibits a public or private institution of higher education from requiring a student to disclose the username or password to any of such student’s personal social media accounts, as defined in the law. The law further provides that such a prohibition shall not prevent a campus police officer appointed by a public or private institution of higher education from performing his official duties. HB 262. Sale of wildlife products. The law authorizes the Board of Game and Inland Fisheries to adopt regulations that allow a licensed hunter or trapper to manufacture and sell products made from wildlife that he has legally harvested, except when the manufacturing or sale of such products is detrimental to public health or sound wildlife management. The law also allows the use or transportation of turkey feathers and toes taken from legally harvested turkey carcasses for the purpose of making tools or utensils or selling such tools or utensils; this provision expires on July 1, 2017. HB 1142. Hunting with a slingshot. The law allows the hunting of wild birds and wild animals, except deer, bear, elk, and turkey, with a slingshot unless shooting is expressly prohibited. SB 152. Sale of furs and animal parts; adoption of regulations. The law authorizes the Board of Game and Inland Fisheries (the Board) to adopt regulations allowing the sale of furs or furbearer products. The law authorizes the Board to adopt regulations providing exemptions to the requirement that a dealer in furs obtain a permit. Current law limits such exemptions to hunters, trappers, fur farmers, and American Indians. The law also authorizes the Board to allow the possession, manufacture, or sale of parts of, or implements made from parts of, wild birds or animals. Current law provides only for the manufacture or sale of implements from deer skeletal parts or turkey callers from turkey parts, as well as the possession of shed antlers. HB 870/SB 193. Unfair claim settlement practices; appraisal of automobile repair costs. The law authorizes the repair facility or the insurer making the appraisal of the cost of repairing a motor vehicle that has been damaged as the result of a covered loss to prepare an initial repair appraisal, which may be the final repair appraisal, on the motor vehicle either from personal inspection of the vehicle by a representative of the repair facility or insurer or from photographs, videos, or electronically transmitted digital imagery of the motor vehicle. The law prohibits an insurer from requiring an owner of a motor vehicle to submit photographs, videos, or electronically transmitted digital imagery as a condition of an appraisal. Supplemental repair estimates that become necessary after the repair work has been initiated due to discovery of additional damage to the motor vehicle may also be made from photographs, videos, or electronically transmitted digital imagery of the motor vehicle, provided that in the case of disputed repairs a personal inspection is required. Currently, a person is prohibited from making appraisals of the cost of repairing a motor vehicle that has been damaged as a result of a collision unless the appraisal is based upon a personal inspection. An insurer’s violation of the requirement with such frequency as to indicate a general business practice constitutes an unfair claim settlement practice. HB 775/SB 646. Fantasy Contests Act; registration required; conditions of registration; civil penalty. The law creates the Fantasy Contests Act (the Act), which applies to fantasy contests with an entry fee offered in Virginia. The law defines “fantasy contest” as any online fantasy or simulated game or contest in which (i) the value of all prizes and awards offered to winning participants is established and made known to the participants in advance of the contest; (ii) all winning outcomes reflect the relative knowledge and skill of the participants and are determined predominantly by accumulated statistical results of the performance of individuals, including athletes in the case of sports events; and (iii) no winning outcome is based on the score, the point spread, or any performance of any single actual team or combination of teams or solely on any single performance of an individual athlete or player in any single actual event. The law requires a fantasy contest operator, as a condition for registration, to establish procedures that include ensuring that players who are the subject of a fantasy contest are restricted from entering a fantasy contest that is determined, in whole or part, on the accumulated statistical results of a team of individuals in which such players are participants. The law requires operators of fantasy contests to register annually with the Department of Agriculture and Consumer Services and to contract with a testing laboratory to verify the procedures for fantasy contests. The law sets forth penalties for violation of the Act. The law provides that fantasy contests conducted in accordance with these measures are not illegal gambling. HB 248/SB 249. Financial exploitation of adults. The law provides that upon receipt of a report or during an adult protective services investigation of suspected financial exploitation of an adult who is 60 years old or older or incapacitated in which financial losses to such adult resulting from the exploitation are suspected to be greater than $50,000, the local department of social services or adult protective services hotline shall immediately refer the matter to the local law-enforcement agency for investigation. SB 278. Criminal history background checks; continued employment of individuals convicted of an offense. The law prohibits assisted living facilities, adult day care centers, licensed and registered child welfare agencies, and family day homes approved by family day systems from continuing to employ individuals who have been convicted of specific offenses that are barriers to employment. SB 363. Rights of persons with disabilities in public places and places of public accommodation; fraudulent representation of a service or hearing dog; penalty. The law provides that any person who knowingly and willfully fits a dog with a harness, collar, vest, sign, or identification card commonly used by a person with a disability in order to represent that the dog is a service dog or hearing dog to fraudulently gain public access for such dog in a public place is guilty of a Class 4 misdemeanor. HB 1312. Special license plates; MEG’S MILES. The law authorizes the issuance of special license plates for supporters of the safety of runners bearing the legend MEG’S MILES. HB 63. Sales and use tax; exemption for certain nonprofit entities. The law provides exemptions from the sales and use tax and local license taxes for certain nonprofit veterans organizations. The sales and use tax exemption shall not be used by a nonprofit veterans organization for purchases of tangible personal property that is used primarily (i) for social and recreational activities for members or (ii) for providing insurance benefits to members or their dependents. HB 127/SB 99. Real property tax exemption; spouse of military service member killed in action. The law clarifies that “killed in action” includes a determination by the U.S. Department of Defense of “died of wounds received in action” for purposes of the real property tax exemption on the residence of the surviving spouse. HB 1348. Smoking in motor vehicles; presence of minor under age eight; civil penalty. The law provides that any person who smokes in a motor vehicle, whether in motion or at rest, when a minor under the age of eight is in the motor vehicle is subject to a civil penalty of $100. The offense may be charged on a uniform traffic summons form. The law provides that such violation is a secondary offense. SB 117. Opening and closing motor vehicle doors. The law requires drivers to wait for a reasonable opportunity to open vehicle doors on the side adjacent to moving traffic. A violation constitutes a traffic infraction punishable by a fine of not more than $50. HB 1069. Toll collection procedures, fees, and penalties; period of nonpayment; notice of unpaid tolls; reciprocity agreements and enforcement. The law requires the Department of Transportation to allow E-ZPass account holders to provide an email or phone number and to electronically notify account holders of a toll violation and further requires toll operators to notify the Department of such toll violations. The law amends the definition of high-occupancy toll (HOT) lanes to ensure that mass transit vehicles and commuter buses meet the high-occupancy requirement. The law lengthens, from 30 to 60 days, the time period before the administrative fee increases from $25 to $100 for all toll violations. The law decreases the civil penalties for an unpaid toll violation on the HOT lanes, making them equal to civil penalties for other toll violations, and allows the HOT lanes operator to offer reduced civil penalties if the owner of the vehicle pays within 14 days prior to the hearing date, which is also permitted for other toll operators. For violations on any toll road, the law provides that for a first conviction there is a cap of $2,200 on civil penalties and administrative fees. The law also provides for a 10-day grace period for unpaid tolls and requires toll operators to attempt to process and collect unpaid tolls twice during such period. The law allows the Governor to enter into agreements on behalf of the Commonwealth with other states to provide for the enforcement of tolling violations occurring in Virginia on out-of-state residents and to enforce tolling violations in other states on Virginia residents. Reciprocity agreements with other states would provide for notification of the Commissioner of the Department of Motor Vehicles (DMV) or other similar entity in another state so that violators who have not paid would have their registration suspended in accordance with the agreement. The law allows for agreements between toll operators or high-occupancy toll (HOT) lanes operators and DMV to include necessary information to enforce reciprocity agreements. The law states that a toll violation on the HOT lanes is a traffic infraction and that a HOT lanes operator shall mail the statutorily required invoice for unpaid tolls, as is the case for other toll violations. The law clarifies references to the issuance of summonses for toll violations and requires toll operators to attempt to collect tolls through a debt collector before mailing a summons. The law provides for a two-year statute of limitations for all toll violations. HB 444/SB 745. Notice to customers of renewable electric power options. The law requires the State Corporation Commission (SCC) to post on its website the names, telephone numbers, and available hyperlinks of suppliers of electric energy licensed to sell retail electric energy pursuant to a specific program. The law applies to those suppliers that (i) expressly state in their applications for licensure, or for any renewal thereof, that they offer electric energy supplied from renewable energy to retail customers and (ii) request in any such applications that they be identified on the SCC’s website as making such offers. The law also requires each investor-owned electric utility to include at least once each calendar quarter in customer bills a notice directing them to the SCC’s website. HB 584. Feeding of deer prohibited. The law authorizes a city or town to adopt an ordinance to prohibit the feeding of deer. The penalty for violating the ordinance is a $50 fine. HB 342/SB 466. Guardianship; communication between incapacitated person and others. The law provides that a guardian shall not unreasonably restrict an incapacitated person’s ability to communicate with, visit, or interact with other persons with whom the incapacitated person has an established relationship. Published in Richmond, Virginia, by the Division of Legislative Services, an agency of the General Assembly of Virginia. Contact the Division at 201 North 9th Street, 2nd Floor, Richmond, VA 23219 or online at http://dls.virginia.gov.